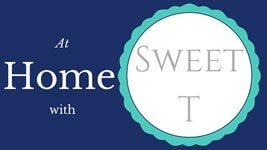 I was recently accepted into the DecoArt Blogger Outreach Program. Once I came up with the idea for this project I request DecoArt brand supplies and once approved the supplies were sent to me at no cost to me. The ideas and experiences with DecoArt products shared here in this post are mine. A pallet, where all pallet projects begin. Carefully cut your pallet, watch for splinters. The boards on this pallet were 40 inches long but I only needed about 36 inches. Instead of fighting the boards and trying to pry them off I cut 3 boards off just in inside the the inside end support pieces using a saw. Then carefully pried the boards loose in the middle. I’m calling it a color wash, not sure what exactly to call this process. It’s similar to what I did on the stool portion of the Clock Table. In a baby food jar add 1/4 cup water and one 2 oz bottle of Americana Acrylic Paint. I used Gray Storm. This mixture will be watery like a stain. Brush the mixture onto the board working in smaller areas, not an entire board. Then wipe off and rub in with a cloth, like an old t-shirt. Continue until all 3 boards are color washed to your desired color. I was happy with one over all application. I am using paper mache letters that I purchased at a craft store, here are similar letters.The size and depth of the letters were just right to make this sign have a big impact in this big space. Again using Americana Acrylic Paint paint all of your letters. I used Desert Turquoise for my letters. I used a spray sealer over all three pallet boards and the letters. Once the color wash is dry you can put the sign together, well the pallet part of the sign. Add a cleat to the back of the boards, this will both hold the boards together and give you something to hang the sign up when you’re all done. You’ll want the cleat pieces to be slightly smaller than the width of the boards. I added another scrap piece at the bottom as well to help hold the board together. Decide your letter placement and spacing then glue to the board using strong glue. I suppose you could use hot glue if you wanted. 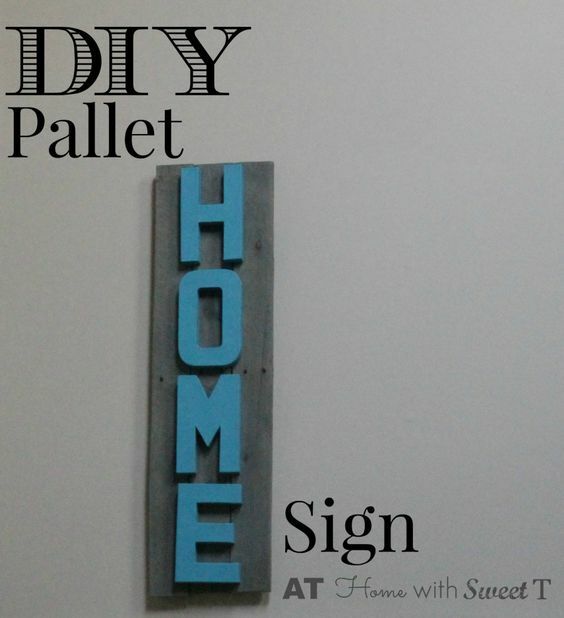 Find a stud in the wall where you wish to hang your pallet sign. This is where you will screw the other part of the cleat. For me this was way up high, so I had to straddle a tall ladder and work left handed. Fun! Now enjoy! And try not to notice the other blank spaces on this huge wall. I will fill that soon. What other words do you think would work on a pallet sign like this? letters, paint, pallet, sign. Bookmark.